Android TV support lends this TV lots of flexibility. 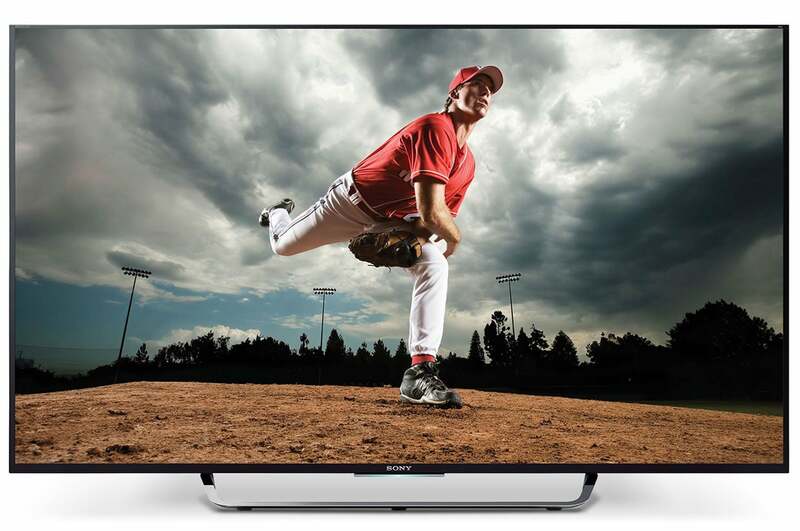 This 54.6-inch smart TV from Sony arguably delivered the best picture in the roundup. The color is exceptionally saturated for an LED LCD TV, and screen uniformity was excellent. It also has a good feature set and a nice touchpad remote for browsing its Android TV interface. And because it uses the Android OS, there are lots of apps. That’s all good; however, the whole playing-home-movies thing is still a bit of a work in progress for Sony. Though generally well-behaved, the 55X850C had some issues when we first attempted to play our test files, and it didn’t fare particularly well with 25-frames-per-second video at any point. I have zero complaints about the 55X850C’s picture quality. It’s not quite trekking in SUHD or OLED territory, because its colors aren’t exceptionally accurate (they skew slightly towards blue), but the colors are vivid and the contrast quite good. The latter despite emitting only about 330 nits in our testing. There were no obvious abnormalities apparent during our uniformity scrutiny, and action shots were very smooth. Mostly. Everything I’ve said about the X850C’s great picture and performance assumes OTA (over-the-air) content or video streamed a cable box, Amazon Fire TV, or a PC, i.e. anything that does its own decoding. Under those circumstances, which are by far the most common for the average user, it performed very well. But there were salient issues with external USB media as well as 25fps video. Sony provides Android apps to display content, but they were buggy. First off, they tried to load and catalog 40GB worth of deleted files. The results were predictable—the system slowed to a crawl, there was odd playback behavior, plus a system hang. Once we’d reformatted the drive to remove all traces of previous content, things went smoothly. Sony’s 54.6-inch 55X850C delivered the best picture quality in this roundup, but that's not the only factor that score in this review. What was really annoying was that the 55X850C’s motion compensation seemingly did nothing to our 25fps files. Even 60fps h.265 Ultra HD content didn’t look very smooth when played from a USB 3.0 drive (there are also USB 2.0 ports). It made us wonder if Sony’s apps were employing motion compensation at all. 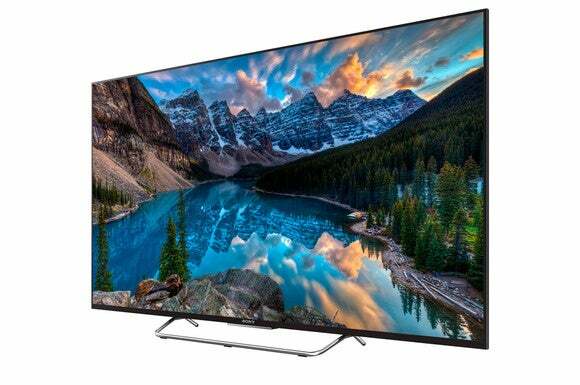 The 1080 content we looked at was fine, but this is an Ultra HD TV. On an up note, 24fps/10-bit h.265 content played just fine. I also tried playing video using the VLC, Kodi, MX Player, and Plex video players, but they were clearly not optimized to run on whatever processor the 55X850C is using, and they proved useless with UHD and most other content. They do, however, broaden the X850C’s limited audio codec support considerably. The X850C has good onboard sound, although its fidelity wasn’t quite up to the LG’s standard. Note: After I put this article to bed, Sony issued a firmware upgrade. It helped with the motion compensation, but also caused the player to crash and and lock up the TV. All four of the 55X850C’s HDMI 2.0 inputs support HDCP 2.2. You can use MHL to stream audio from mobile devices, and there's ARC (audio return channel) support, too. 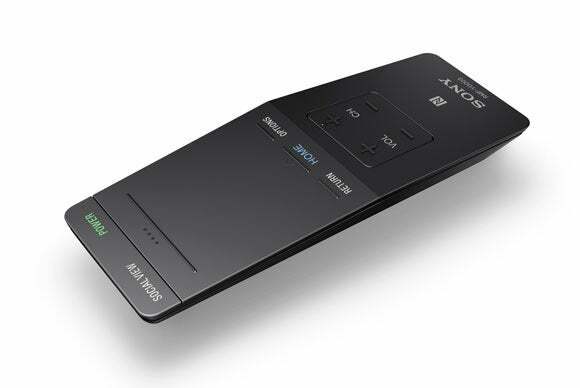 Sony's touchpad remote control is a natural companion for its Android OS. The 55X850C’s Android OS is easy to use, and easy to navigate, though placing everything, including the settings, on one screen along with the apps results in a lot of scrolling. That’s an exceedingly minor complaint, mind you. Overall, it’s a facile experience. The 55X850C augments its old-school, too-many-buttons remote with a simpler touchpad-style alternative. You must use the former to link the latter to the TV; but from then on, you can use whichever you prefer. I used the touchpad because I like simple, even if it does require more scrolling. I also found the 55X850C’s voice navigation extremely useful. It made finding apps in the catalog, as well as everything else, quite easy. In total, interacting with the Sony isn’t quite as fun as LG’s magic remote/WebOS combo, but it’s pretty darn easy. Where Android OS really shines is in the breadth of apps available. Notice I mentioned four media players in the testing section: Just about anything you can find in the Google Play Store you’ll find on the Sony; but as with said players, some may not work as well on the 55X850C as they do on other devices. One other neat feature of the Sony is an integrated channel guide. While this may be available via apps on other TVs, it’s nice to have it integrated as Sony does. This feature will be particularly attractive to cord cutters, since this feature is part and parcel of the set-top boxes that cable and satellite TV service providers lease to their customers. The issues with USB playback probably won’t affect the majority of users, and this is otherwise an excellent all-around TV, especially for the price. And, as the firmware is upgradeable, the 55X850C’s OS and app limitations and bugs will likely disappear in the future. Did I mention it does 3D? Will you care? Probably not. A great picture, ease of use, and good sound are all positives that the 55X85C brings to the table. But we ran into several bugs with the local media playback apps that tempered our enthusiasm. Still, a great all-around TV at a pretty good price.